Four months after a reboot was announced, we finally get to see an actual look at Stranger Things star David Harbour as he assumes the role of the demonic anti-hero Hellboy. It’s probably safe to say that they didn’t really stray away from Guillermo del Toro’s version, save for revamped details like a more weathered Right Hand of Doom and an abundance of man-veins popping out of the humorous half-demon’s massive red muscles. But that’s not all. An excited Harbour apparently couldn’t help himself from sharing a monochrome image of him wearing Hellboy’s signature trench coat as he gazes at you with a blank expression. 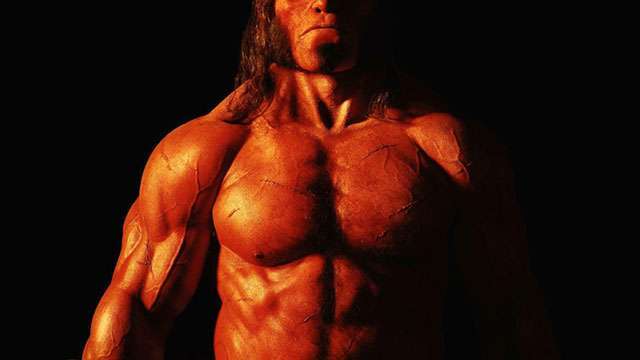 Mignola announced an R-rated reboot of the Hellboy film in May. This will be the third live-action movie adaptation of the Dark Horse Comics anti-hero, but it won’t be a sequel to the first two films directed by Del Toro way back in 2004 and 2008. The upcoming Hellboy movie is helmed by director Neil Marshall (Westworld, Constantine, Game of Thrones) and also stars Milla Jovovich (Resident Evil series), and Ian McShane (John Wick series), among others. The film has the working title, Hellboy: Rise of the Blood Queen, and is slated for a 2018 release.